Here's a great meat and potatoes weeknight dinner recipe. 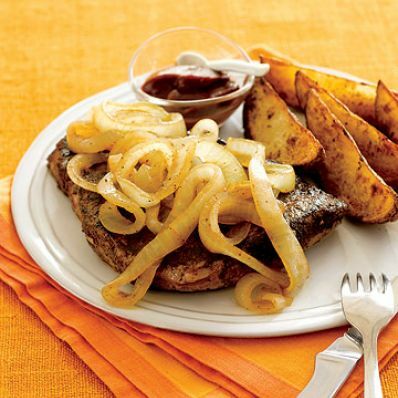 Spicy oven-fried potato wedges accompany the onion-topped steak. Serve both with bottled ketchup that's been spiced up with chili powder and other seasonings. 1 of 5 Heat oven to 450 degrees F. In bowl, blend chili powder, cumin, pepper and garlic salt. 2 of 5 Scrub potatoes; cut each into 8 wedges. Place in a bowl; coat with nonstick cooking spray. Toss with 1 teaspoon of the spice blend. Place on a large baking sheet; roast at 450 degrees F for 45 minutes, tossing occasionally. 3 of 5 Stir 1-1/2 teaspoons of the remaining spice blend in ketchup; rub steak with remaining spice blend. Set aside. 4 of 5 Once potatoes have roasted for 30 minutes, start steak: Coat 10-inch skillet with nonstick cooking spray and heat over medium-high heat. Add steak; cook 3 minutes. Turn over; cook 2 minutes. 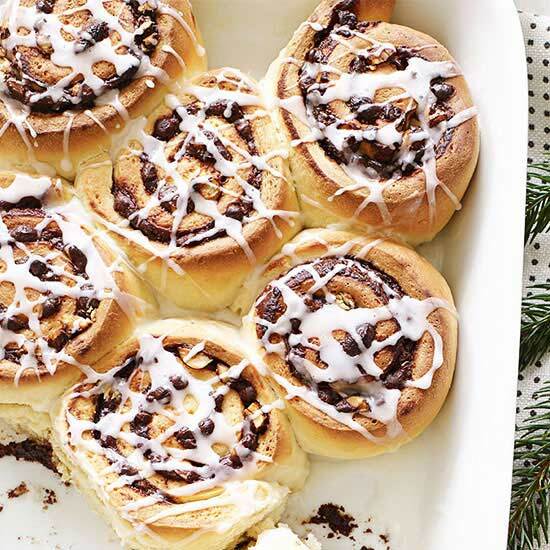 Transfer to a baking pan; add to oven for 10 minutes as potatoes finish cooking. Meanwhile, add onion and 1/2 cup water to skillet; reduce heat to medium and cook 6 minutes or until softened. 5 of 5 Check temperature of steak; it should register 145 degrees F on instant-read thermometer. Serve steak topped with onions and with fries and chili ketchup. Per Serving: 2 g sat. fat, 63 g carb., 32 g pro., 71 mg chol., 7 g Fat, total, 864 mg sodium, 6 g fiber, 434 kcal cal.